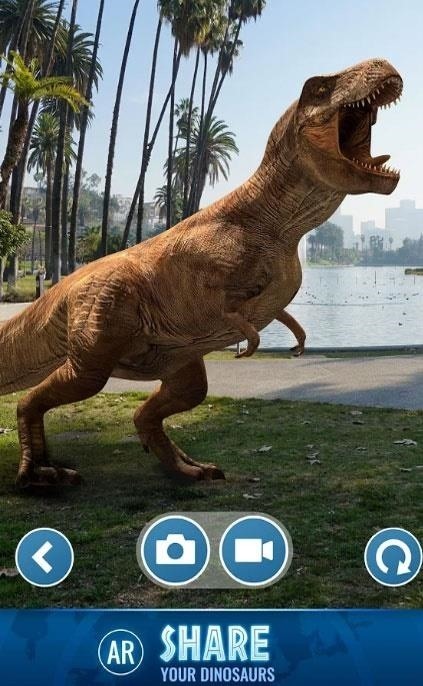 Following in the augmented reality footsteps of Pokémon GO, Universal Studios has decided to give us an AR version of Jurassic World. 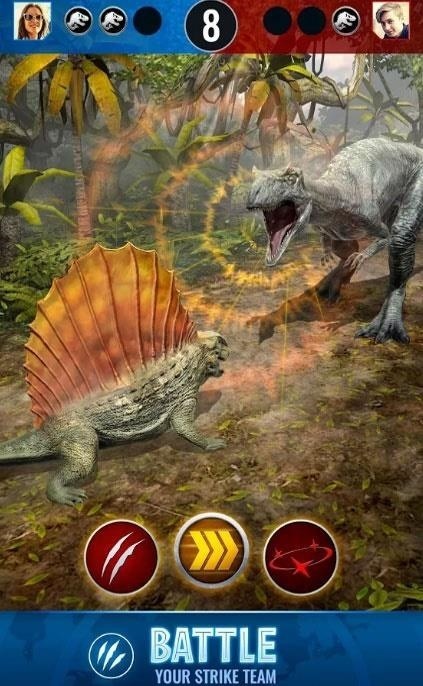 The new game is called "Jurassic World Alive," and while the trailer for the game doesn't show any actual gameplay, the cinematic approach to the promo indicates that the studio is putting real cash behind this effort in hopes of an AR hit. Currently, there's no way to play the game. The game's landing site only offers a pre-registration page so fans can be notified when the game launches this spring. However, there is a preview page on the game's Google Play Store presence. 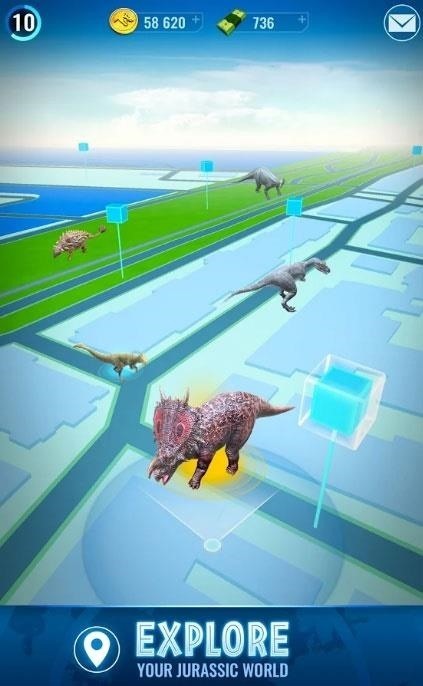 "Explore your surrounding area to find your favorite dinosaurs — including new breeds that are more awe-inspiring and terrifying than ever before. Activate augmented reality (AR) to interact with these unbelievable creatures in the real world," reads the game's Play Store description. "Track these magnificent animals with a drone and collect DNA samples needed to level up and create hybrids in your Lab … Explore your world with location-based technology and discover dinosaurs on a map. Identify behavior patterns to track specific species in their natural habitats." 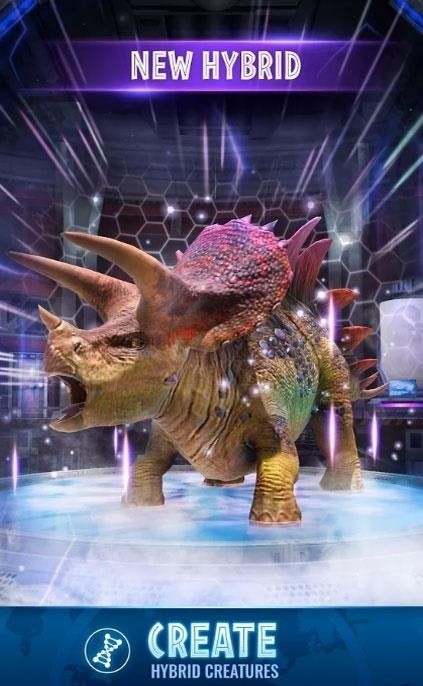 Developed by Ludia Games, this is just the latest in a string of new AR games built around existing franchises, including The Walking Dead, Harry Potter, and Ghostbusters. 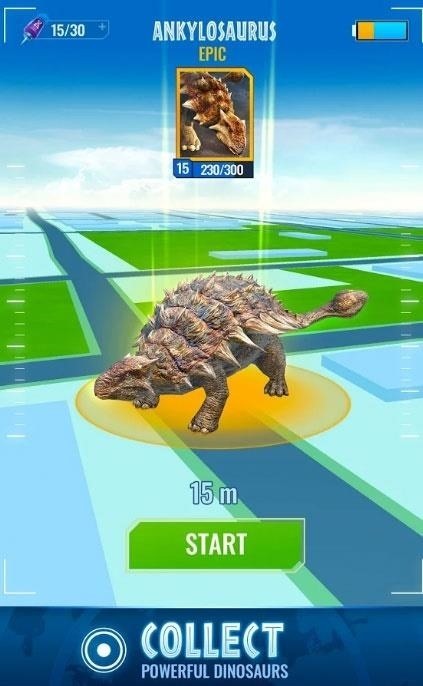 The game will also have an iOS version and, based on all the screenshots, it looks like the makers are aiming to give users a very Pokémon GO-style experience (that is, tracking and discovering virtual creatures in the real world). Whether it will have the same kind of viral impact remains to be seen, but its release is timed perfectly for the premiere of Jurassic World: Fallen Kingdom, which hits theaters on June 22.